If you are an employee and injured on the job in New Jersey, you have rights under the laws of the State of New Jersey. Your rights include compensation from your employer for past and future medical expenses, lost wages and pain and suffering. In order to promptly and properly receive compensation for your injury from your employer, there are several important initial steps that every injured employee should understand. The important laws for work related injuries are found in the New Jersey Workers’ Compensation Act, N.J.S.A. 34:15-1 et seq. This Act provides the exclusive remedy available to an employee injured on the job. The Act is also, by operation of law, written into every employment contract in New Jersey. As a starting point, the following is a quick summary of basic rights and information that you should be immediately aware of following any work related injury. When personal injury is caused to an employee by accident arising out of and in the course of the employee’s employment, the employee is entitled to receive compensation from his employer. N.J.S.A. 34:15-1. 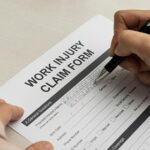 In New Jersey, an injured employee may be compensated for that injury regardless of his or her fault. Intentional injuries by the employee, however, fall outside the scope of the Workers’ Compensation Act. Your employer (not you) is required to provide the injured employee such medical, surgical and other treatment and hospital service as is necessary to cure and relieve the worker of the effects of the work related injury. N.J.S.A. 34:15-15. When an injured employee is unable to work for more than 7 days, he or she is eligible to receive temporary disability benefits. N.J.S.A. 34:15-14. Temporary disability benefits, in layman’s terms, are monetary payments made to the injured employee while that employee is unable to work due to the work related injury. After all of the medical treatment has been provided to the injured employee and the injured employee has been discharged from medical care, the injured employee may be entitled to a monetary award for the injury that he or she sustained. When the workplace injury results in a permanent disability to the injured employee, benefits are payable to the employee based on a percentage of the employee’s permanent disability. The percentage of disability can range from 1% to 100%. Unknown to most of the public is the fact that your homeowners’ insurance policy may under certain circumstances provide coverage should someone working at your home have such a workplace injury. For further information, please contact the attorneys at Puff & Cockerill. If you are injured on the job in New Jersey, you deserve to know your rights and receive proper medical attention. There are many different sections of the New Jersey Workers’ Compensation Statute. Some sections may apply to your case, while others may not. If you have any questions or would like to speak to an attorney regarding an injury sustained on the job, please contact the experienced workers’ compensation attorneys at Puff & Cockerill LLC. The attorneys at Puff & Cockerill LLC have handled hundreds of workers’ compensation cases and obtained compensation for past and future medical expenses, lost wages, and compensation for pain and suffering, in addition to receiving favorable settlements on behalf of our clients. Comments Off on Injured on the Job in New Jersey? New Jersey drivers should know what their medical expense benefits are before they are involved in an automobile accident, because by then it is too late. Our firm and this author have represented hundreds of clients who were injured in car accidents. Unfortunately for the majority of our clients, the only time they viewed their automobile insurance policy was after the accident, while in this office. When reviewing the insurance policy together, most clients are surprised to discover what their policies will and will not cover. This article is dedicated to informing New Jersey drivers that being proactive with their automobile insurance policy will help drivers plan and prepare for the unexpected. In staying proactive, consumers must understand their “Medical Expense Benefits Limits,” which fall under Personal Injury Protection Benefits (“PIP benefits”). Medical Expense Benefits Limits, in everyday terms, refers to the payment of medical bills, including surgical, rehabilitative and diagnostic services and hospital expenses, for the medical treatment of injuries sustained in an automobile accident. For the statutorily defined definition of “medical expenses” see N.J.S.A. 39:6A-2(e). A client needs to be aware of his/her medical expense benefits limits because as a consumer you want to ensure that you have adequate coverage to pay the medical bills no matter how severe the injuries are. Under a Standard policy of insurance, medical expenses up to a $250,000.00 limit will be paid by your automobile insurance carrier for medical treatment (reasonable, necessary and appropriate medical treatment) that is rendered in connection with injuries sustained in a car accident. N.J.S.A. 39:6A-4(a). Limits under N.J.S.A. 39:6A-4(a) can also be lowered to $15,000, $50,000, $75,000 or $150,000. By reducing you limits, you save money, but you expose yourself to payment for medical expenses should those medical expenses exceed your chosen policy limits. If you exceed those policy limits and have health insurance, the medical bills, over and above those limits, can be submitted to health insurance. Under a Basic policy of insurance medical expense benefits are limited to $15,000.00 per person, per accident. An exception exists for additional medical expense benefits up to $250,000.00 for (1) all medically necessary treatment of permanent or significant brain injury, spinal cord injury or disfigurement or (2) for medically necessary treatment of other permanent or significant injuries rendered at a trauma center or acute care hospital immediately following the accident. N.J.S.A. 39:6A-3.1. Choosing a basic policy may save you some money on your premiums, but it can expose you to payment for medical expenses above the $15,000.00 limit, unless the injury was a category 1 or 2 injury. Additionally, if you have health insurance, the medical bills not covered under a basic policy of insurance can be submitted to health insurance for payment. Under a Special policy of insurance medical expense benefits are limited to an amount not to exceed $250,000.00 for “emergency care.” Emergency care refers to all medically necessary treatment of a traumatic injury or a medical condition. Such emergency care shall include all medically necessary care immediately following an automobile accident. Emergency care extends during the period of initial hospitalization until the patient is discharged for acute care by the attending physician. Emergency care shall be presumed when medical care is initiated at a hospital within 120 hours of the accident. Emergency PIP coverage shall also include all medically necessary treatment of permanent or significant brain injury, spinal cord injury or disfigurement after the patient is discharged from acute care. N.J.S.A. 39:6(A)-3.3. This is the cheapest possible insurance coverage available. Emergency care is covered; non-emergency care is not. Choosing a special policy may save you more money on your premiums, but it can expose you to payment of all non-emergency medical expenses, if you have no health insurance. An insured may also select their own health insurance coverage as primary coverage for medical expense benefits. In that case, the automobile insurance carrier providing medical expense benefits under PIP coverage would make payments on reasonable medical expenses not covered by health insurance or benefits up to the limit of the medical expense benefit coverage. 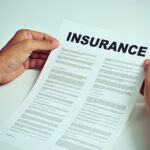 In this author’s opinion, I normally recommend that clients carry the standard policy of insurance with medical expenses up to the $250,000.00 limit pursuant to N.J.S.A. 39:6A-4(a), because it ensures a significant amount of coverage in the event of an injury. There are no guarantees that a person will not be in a car accident, but if you are, you want to make sure that there is enough coverage to pay the bills no matter how severe the injuries sustained. If you are wealthy, you may choose a higher limit. All New Jersey drivers are encouraged to review their automobile insurance policies with their attorney to ensure their medical expense benefits limits are adequate and acceptable to their financial and personal wishes. This advice is general in nature and everyone has their own special circumstances in life. So be prudent, careful and responsible to protect yourself. If you have a question, please contact your attorney.